The Buddhist Kingdom of Bhutan lies along the lofty ridges of the eastern Himalayas, bordered by China (Tibet) to the north and northwest, and by the Indian states of Arunachal Pradesh, Assam, West Bengal and Sikkim on the east, south and west respectively. 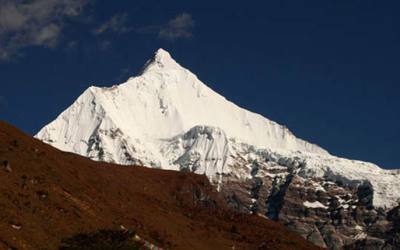 With an area of 46,500 square km Bhutan is comparable to Switzerland both in its size and topography. It was the mighty Himalayas, which protected Bhutan from the rest of the world, and left the Kingdom blissfully untouched. Bhutanese people are driven by their respect for the tantric strain of Mahayana Buddhism.. The Bhutanese people have been able to protect this sacred heritage and unique identity for centuries by choosing to remain shrouded in a jealously guarded isolation. Day02: sight seeing around kathmandu valley with English speaking culture guide and by private transport. Day02: Free day in Kathmandu or sightseeing around kathmandu valley with English speaking guide. Day03: Arrival at Paro airport. You will be received by the airport representative of our Bhutan agent. He will be holding play card with your name at arrival hall. Than drive to Thmpu ( capital of Bhutan). Over night at hotel. 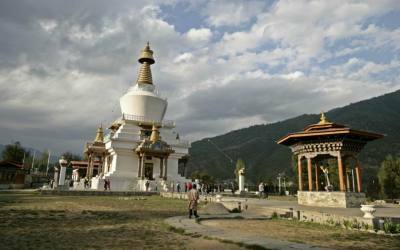 Day04: After breakfast you will have sightseeing tour to different places of Thimpu. Such as visiting to Tashi ChhoDzong ( Fortress of the Glorious religion). Visit to national library which hold the vast collection of ancient Buddhist manuscripts, followed by visiting to painting school. Famous for carving and free hand art. After lunch visit to Memoril chhorten, a monument dedicated to the third king of Bhutan. His late majesty king Jigme Dorjee Wangchuk. Than visit Handicrafts emporium to see the exquisite artistry of traditional crafts and textiles. Evening free for shopping and leisure. Dinner and over night at hotel in Thimpu. After breakfast drive to Punkha via Dochula pass. It the weather is clear we stop a while at Dochulz pass to view higher Himalayas. 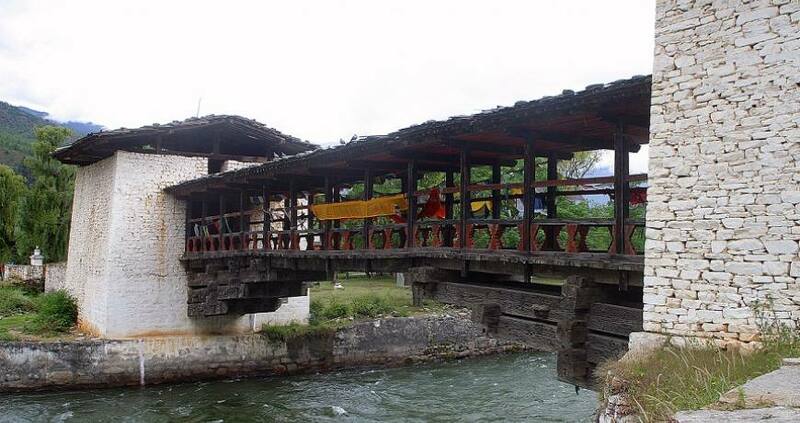 While in Punakha visit Punakha Dzong built in 1637 by shabdrung Ngawang Namgyal and is situated between Phu Chu ( Male river) and Mo Chu ( Female river) After lunch drive to Wangdi Phodrang. Along the route we will stop a while to view Chhimi Lhakhang, also called the temple of fertility which is built by Lama Drukpa Kuenley in the 15th century. Along the route sight seeing in the valley of Wangdiphodrang. Which includes visit to Wangdiphodrang Dzong ( from outsite) built in 1638. over night at hotel. After breakfast drive to paro. On the way visit Simtokha Dzong built in 1627. after lunch visit Ta Dzong( an ancient watch tower) than to national museum of Bhutan and to Rimpung Dzong ( paro Dzong) built in 1646. at the evening visiting to Drukgyel Dzong, now in ruins. Than to visit Kyich Lhakhang, one of Bhutan’s oldest and sacred monasteries dating from the introduction of Buddhism in the 8th century. Over night at paro. Day07: Drive to Paro airport for the connecting flight to Kathmandu. During the afternoon sight seeing around Patan. Patan Durbar Square: Situated in the heart of the city, constitutes the focus of visitor’s attraction. The square is full of ancient palaces, Temple and shrines, noted for their exquisite carvings. The Patan durbar Square consist of three main chowks or countryards, the Central Mul Chowk, Sundari Chowk and Keshar narayan Chowk, The Sundari Chowk holds in its center a masterpiece of stone architecture. The Royal Bath called Tushahity. It was listed in the UNESCO world Heritage Monument list in 1979.